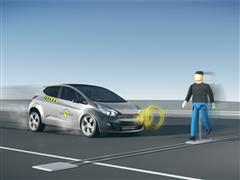 Euro NCAP is introducing a new test that will check how well vehicles autonomously detect and prevent collisions with pedestrians. With new vehicles offering more autonomous driver assist systems, Euro NCAP’s Autonomous Emergency Braking (AEB) Pedestrian tests will make it simpler for consumers and manufacturers to find out which systems work best. Euro NCAP will test vehicles’ response to pedestrians in simulations of the three most common urban scenarios: adults walking and running into the vehicle’s path and a child stepping out from behind a parked car.